The European Commission is legally committed to publish a strategy for a European non-toxic environment by the end of 2018. 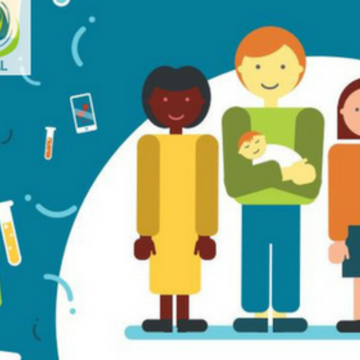 Keeping the promise to publish such a strategy will be a game changer – benefiting public health and contributing to a successful circular economy, says EDC-Free Europe campaign member the Health and Environment Alliance (HEAL). A non-toxic environment will address climate change and biodiversity loss, contamination of air, soil, water, animals and humans with health-harming chemicals. “A non-toxic environment should be understood as an environment that is free from chemical pollution and of exposures to hazardous chemicals at levels that are harmful to human health and to the environment. This target would take into consideration the need to provide vulnerable groups with as much protection as possible, to take account of potential delays between exposure and disease expression, to prevent accumulations of very persistent substances to ensure the quality of material flows foreseen as part of the Circular Economy“ - European Commission . Unfortunately, at the time of writing, there is no sign of progress on developing such an ambitious European action to reduce the exposure to harmful chemicals across product categories, uses, and relevant laws. - Prioritise eliminating people’s exposure to toxic chemicals and reducing the linked health impacts by 2030. - Commit to addressing and when possible phasing out chemicals of particular concern. - Establish an effective process of coordination and consistency across the various pieces of European chemicals legislations in the most health protective way. - Identify priority areas for progress at the European level. - Commit to securing funds for improved research and testing methods. - Develop coordinated European-wide information and awareness-raising campaigns. Today, we are releasing a vision paper that outlines HEAL’s vision how through such a strategy Europe can lead the way to a non-toxic environment and suggests 12 actions for the European authorities to prioritise when crafting their action plan. Read the full document in English and French.